Almost all car company’s sell their products on image – an image that’s based on that maufacturers products and their perceived status in the market place. A handful – a very small handful – can sell their cars based on engineering integrity, and none more so than Honda, whose engineering expertise dates back to its earliest, motorcycle manufacturing days. 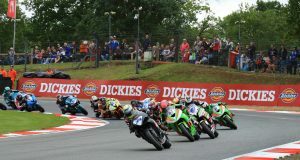 Motorcycle engines centre around getting as much power as possible, but smoothly and with longevity. And that applies equally to Honda’s cars, whose popularity is based not only on their engineering but their all-round quality too. That mix of engineering integrity and high-quality mainests itself in every way – from the feel of the driver’s door handle and closing of the door to the instant firing of the engine, and how it sounds. 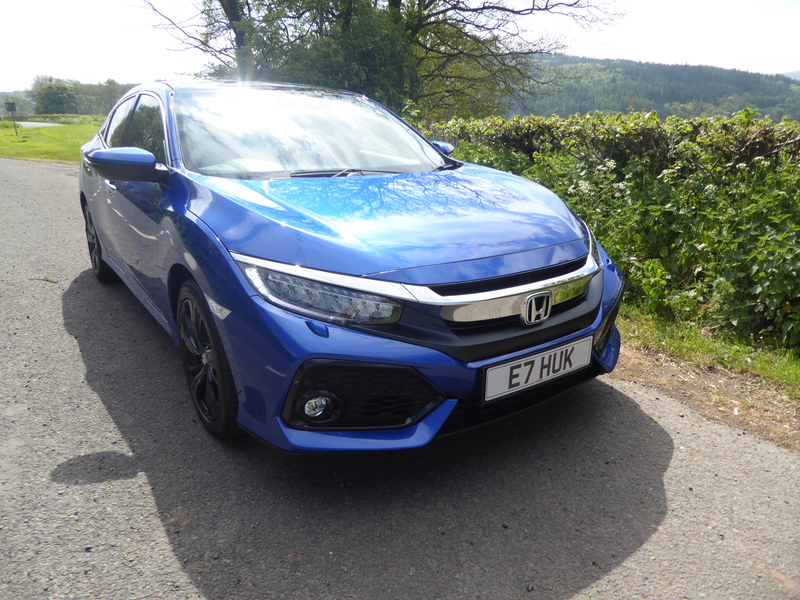 The Garage has tried a Civic 1.0 VTEC Turbo EX in manual form and a 1.5 VTEC Turbo Prestige with CVT transmission, and both lay down a mark in the sand of smaller performance-orientated hatchbacks. The 1.0 VTEC is a revelation in terms not only of power delivery, but smoothness of the delivery too. Coupled to a slick, light-to-use six-speed manual gearbox, the engine undoubtedly defies expectations of a power unit that size. From a standing start acceleration is reassuring, Honda quoting a 0-62mph time of 11.2 seconds, going on to a 126mph top speed. But it’s not just the engine and gearbox that performs so well. The power steering is beautifully weighted – it’s not too heavy, and it’s not too light. There’s plenty of feel through the fairly small steering wheel, but not so much the driver would feel a cigarette paper under the alloys. 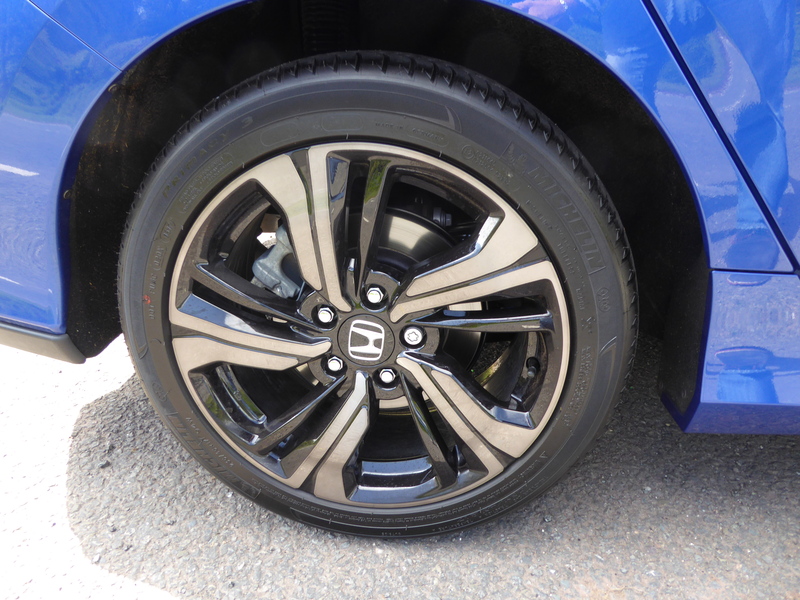 The brakes are confidence inspiring and they have a good feel, meaning that, combined with the Civic’s well sorted handling, this is a true driver’s car. That statement could also be applied to the 1.5 VTEC Turbo, with CVT transmission. Purists might wince at the thought of any var with an automatic transmission successfully targeting enthusiasts, but CVTs offer plenty of involvement and the rapid up- and down-shifts normally associated with a properly-sorted manual ’box. Engine/gearbox relationships can sometimes be a marriage made in hell rather than heaven, but the Honda 1.5/CVT combination works very well and should delight the more enthusiastic driver. Gear changes are smooth and almost undetectable, other than under the fiercest acceleration, but even then the Civic slightly squats down and gets on with the job. Both cars The Garage tested showed the build quality that Honda is rightly known for. Panel fit is superb, as is the paint, while the interior – entirely free of squeaks or rattles – is a lesson in how to bolt one together. 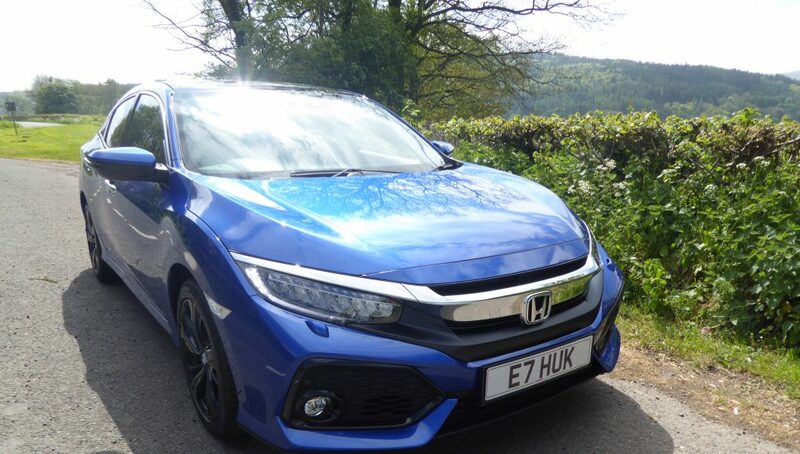 Materials are far better than those found in ‘prestige’ German makes, giving the cabin a supremely comfortable air, and one more light and airy than the Civic’s lines might suggest. The dashboard, true to Honda’s ethos, is nicely laid out, with controls and switches clearly laid out and identified and working with a light, positive action. 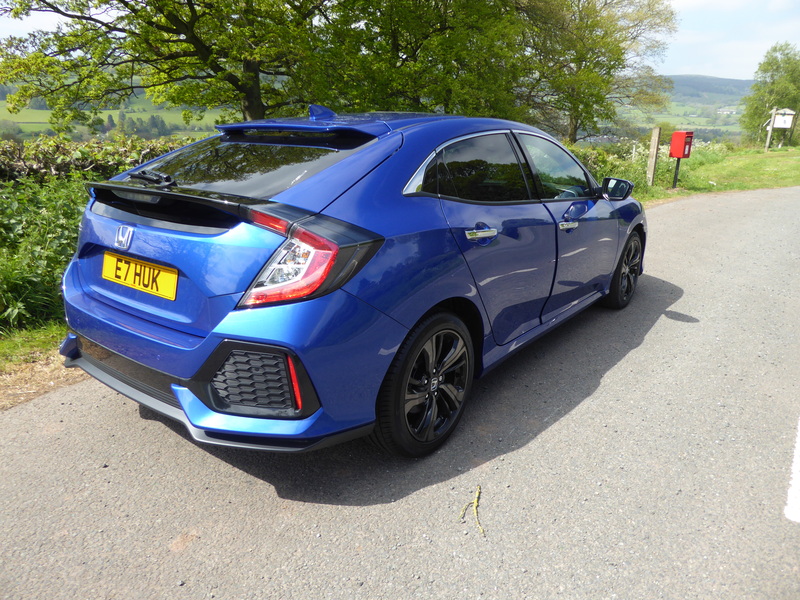 The Garage Verdict: The latest Civic continues Honda’s theme of not following the crowd when it comes to engineering or design and the result is a first-class product that appeals to both everyday motorists and keen drivers.